Lanesborough/Ballyleague will play host to another top class two-day International Pike Angling competition in September this year. The Lough Ree International Pike Classic 2019 will take place on Saturday & Sunday 14th & 15th September 2019 on the renowned World Predator Boat Championship Fishery at Ballyleague, Lanesborough on the Roscommon/Longford border. This is a two-day world class fishing event with top cash prizes… a staggering prize and benefits fund of €10,000. 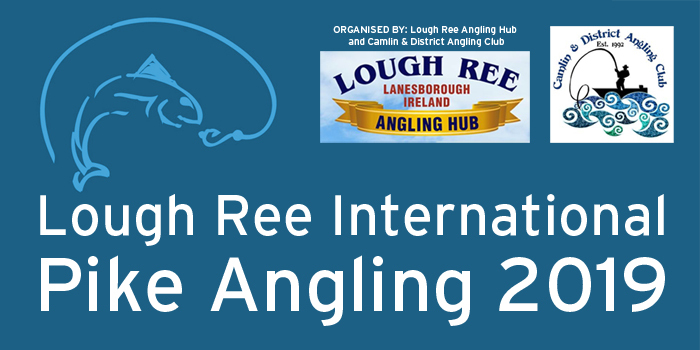 This event is organised by the Camlin & District Anglers Club for Lough Ree Angling Hub. The Application Form and Rules can be downloaded by clicking on the links below. For more information on the competition, email: camlinanglers@gmail.com or phone +353 86 199 1106.